Marie Godley Books: Day Five - Something a bit Different. Day Five - Something a bit Different. I live in Christchurch with my family I have worked in various libraries and now devote my spare time to writing. Today on my blog I'm featuring poets. First up is Aurora Morealist. 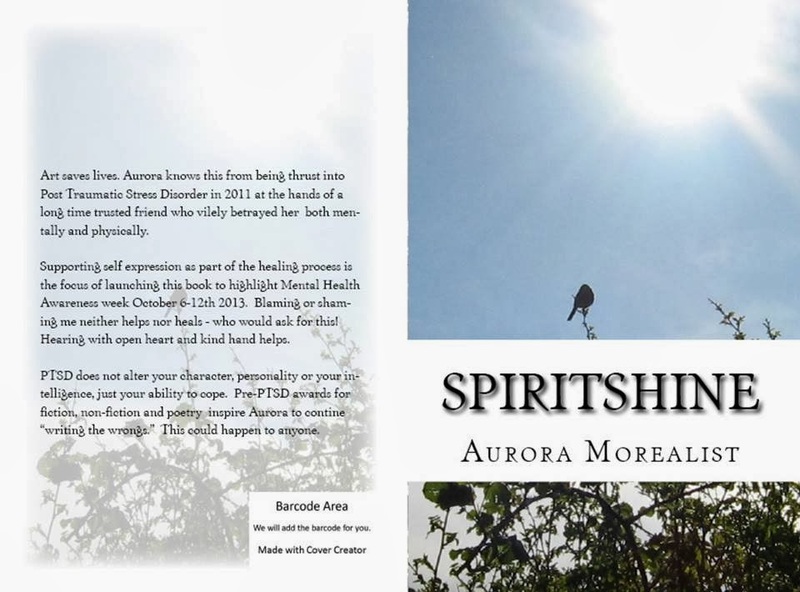 Post Traumatic Stress Disorder is not exclusive to survivors of war as Aurora shows readers in the poetic writings that saved her life. Relentless shock wars on her psyche since 2010 - deaths, betrayals, abuses - left her traumatized and alone with writing often her only companion. What she has learned thus far: Art saves lives. If you write, draw, craft, paint, stitch, make music, dance, sing, you have a life saver like no other. Holding fastly to her own savior of writing, Aurora writes what she can to emphasize this message: PTSD does NOT alter your character, personality or intelligence; it simply destroys your ability to cope. And it can happen to anyone. Anytime. Aurora's real world resume is admirable with career achievements and writing awards as intact as her innate character and professional references. None of this matters any more. She may never be the same again and is finally at peace with this. 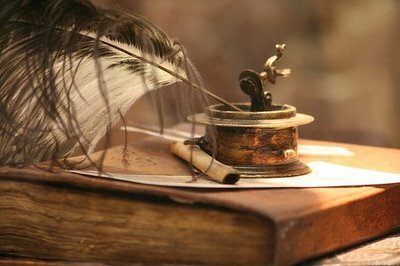 While writing isn't always possible for Aurora, or perhaps, possible to do well...writing is her anchor, her life line, her way forward. Won't you join her as she writes the wrongs, soulfully healing herself in the hope of helping others - one word at a time - shining love, sharing boundaries and savoring nature in short verse that speaks to gratitude, loss and being human. Next up is Loretta Livingstone. Loretta has written a few poetry books: The covers are to follow. Loretta's books can be bought direct from her website http://www.treasurechestbooks.co.uk/ where you'll also find a range of gifts featuring her trademark "Hopes, Dreams and Medals". I hope you enjoyed my Poet blog. See you tomorrow when in honour of it being Thanksgiving in America I'll be showcasing an American author. Although I have never met her I consider Aurora to be a great friend. She has had a lot of hard times in her life, and clearly that has left its mark, but she has risen above that and has courageously written about her experiences to help others. She is a lovely person with a captivating smile. Thanks for taking the time to visit and leave a comment John and I agree with you about Aurora.